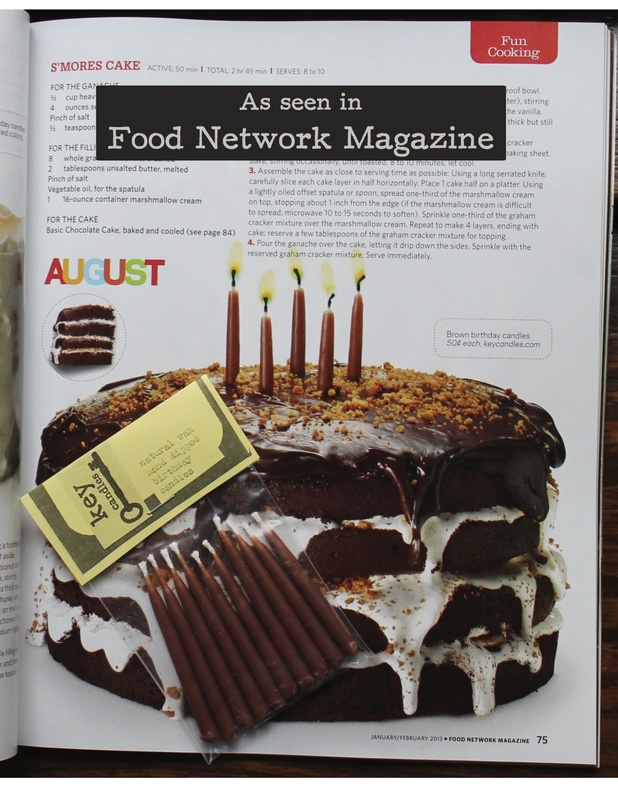 We were so thrilled to be featured in this month’s Food Network Magazine. The article is about unique birthday cakes and includes our brown natural wax hand dipped birthday candles on top of a fabulous S’mores cake! Other great cakes and candles were included as well. Check it out!